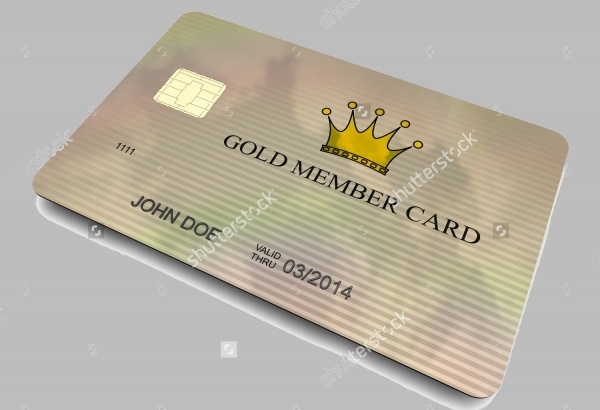 Just a decade ago, membership was meant only for libraries and other elite clubs and you would get a card for yourself for your identification. But these days, even your local supermarket has a membership card always ready for you in case you aren’t a member yet. You can also see Donation Cards. The concept of membership and identification card is changing, and a lot of high-quality designs are coming up for various purposes, like student membership cards and loyalty cards. 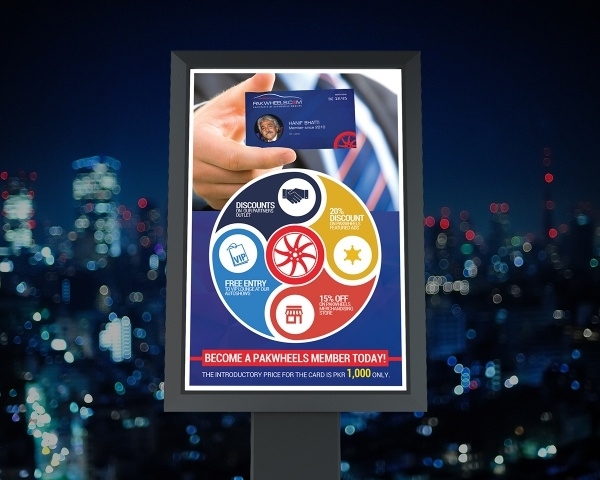 In this article, we have compiled a list of some amazingly created and creative membership card designs that you can look at for design ideas or even download some of the editable ones to create one for yourself in just a few clicks. These templates are available for free or for a minimal price and are available in abundance on the web for various themes and ideas including photography business cards. You can also see Gift Card Designs. 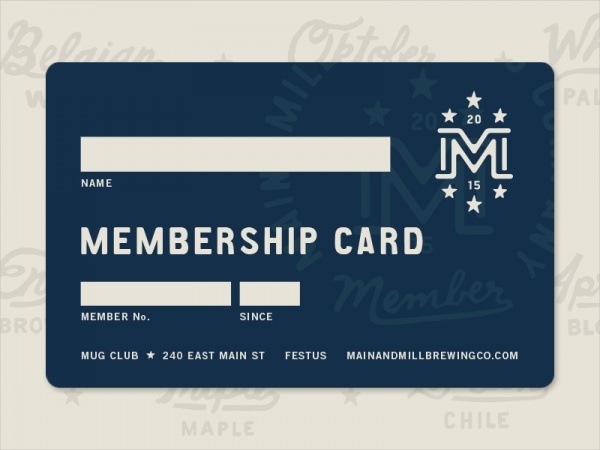 Here is a mockup for a membership card that is issued by Main & Mill Brewing Company. The design has been kept simple with the brand’s logo and just the basic details of the card holder. You can also see Corporate Business Card Designs. 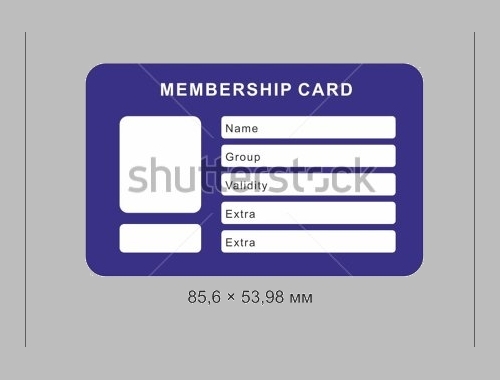 This design was created to promote the membership card promotion for an automobile website that was offering discount and other offers to the members. 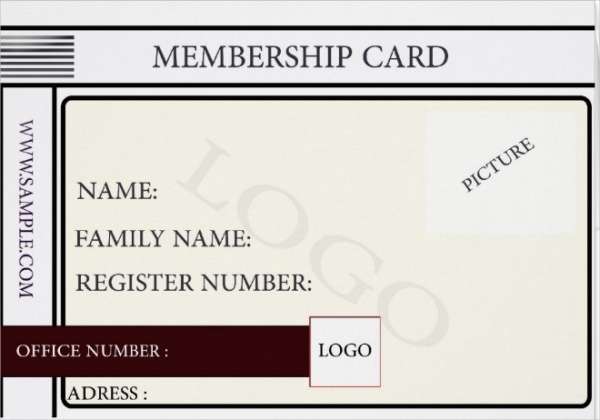 Here is the just the interface for a tech-friendly membership card which has space for your thumbprint as well. This design can be used by corporate where they want to digitally track the movement of people. 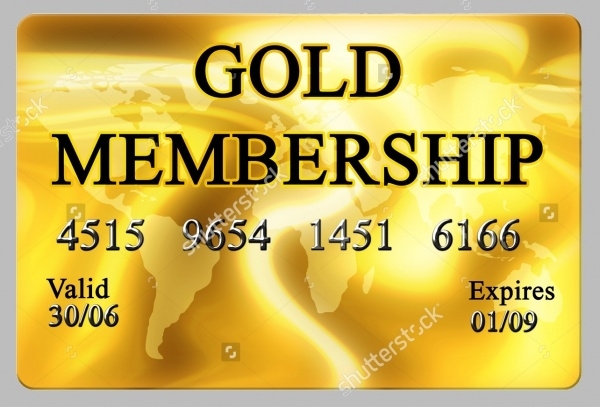 Here is a premium design template for a membership card that looks quite bright and elite with its gold and glitter. 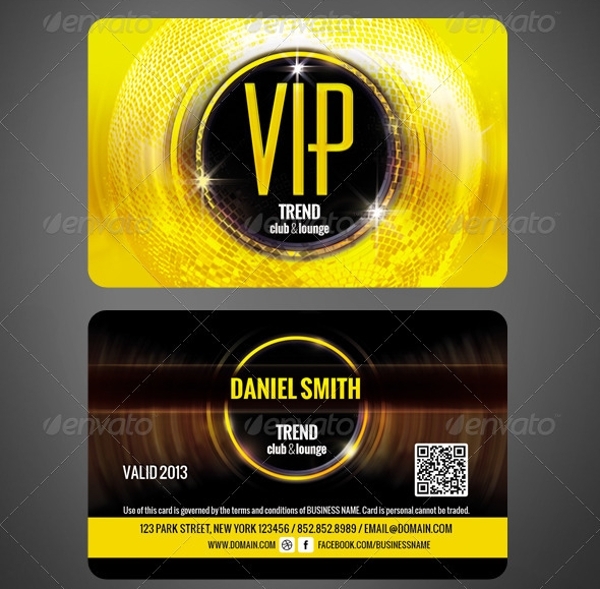 This design can be used by clubs and elite restaurants and bars for their VIP members. This is a stock vector illustration of the simplest design you would think of. 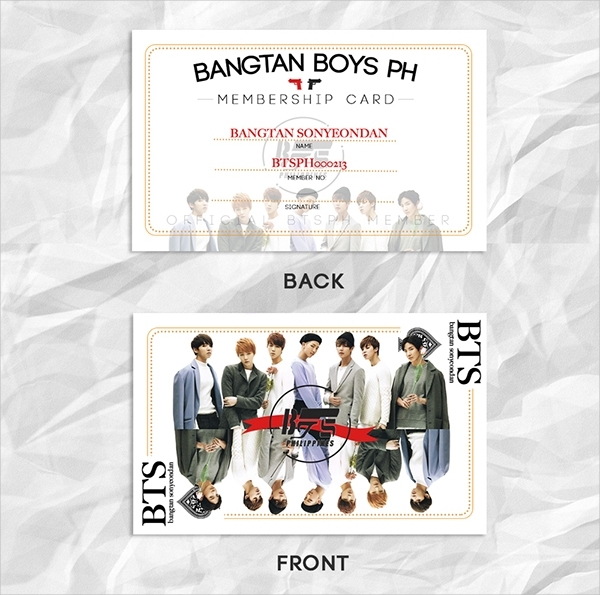 This design of the membership card can be used by someone who wants to produce it in bulk and hand write the information. 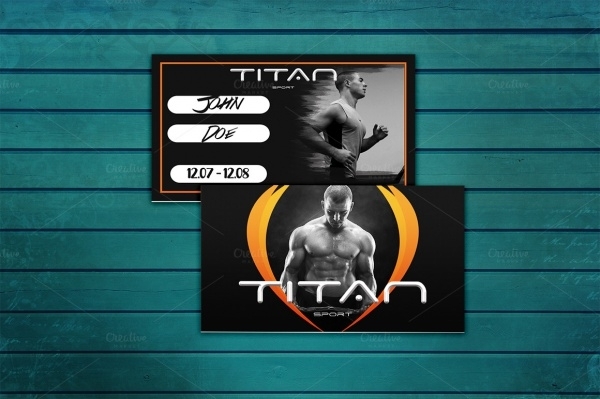 In case your client runs a gym or is a gym trainer, you can cater to them using this simple yet elegant design that looks great for a gym membership card. You can download the premium design template in an editable PSD file. Here is another high-quality stock vector illustration of a 3D modeled plastic card with a chip planted in it; common to the driving license you see these days or your universal identification card. Have a look at this editable PSD design available in ready to print CMYK colors and a resolution of 300 dpi. The design is completely editable and uses free fonts for the content. You can download it here from the below-mentioned link. 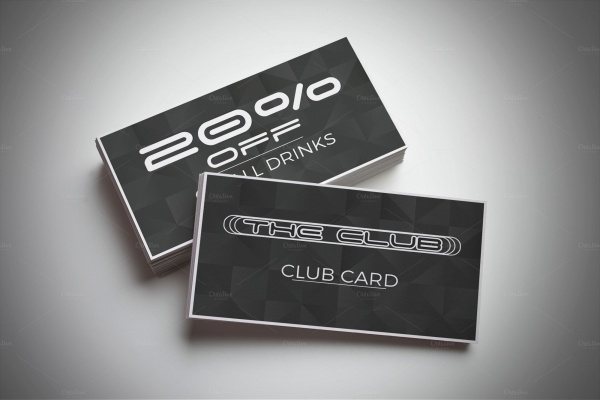 If you are looking for a VIP club card but don’t want to spend big bucks on your design then this one is for free for you. 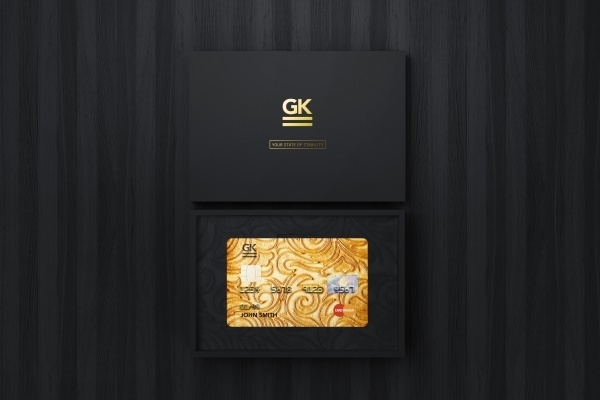 The card is set in the shade of bronze with geometrical artwork as the background. Here is a collection of different card designs available for a modest price of 6 dollars. The designs are quite elegant and can be used for both corporate and personal projects. The design comes in a fully editable vector file in eps or illustrator file formats. 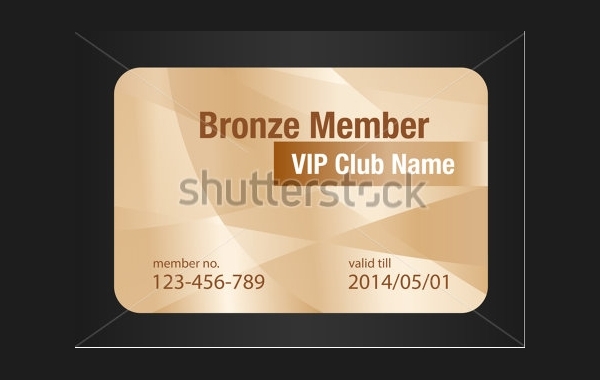 You can segregate the members into bronze, silver, and gold using this design for the gold card holders. This is a stock photo that you can download for free and use it as a reference for your card design. Banks provide us with the debit and credit cards that are their display of membership. Here are some really cool designs with intricate artworks and patterns used for the background of the bank cards. Have a look at them here at the below-mentioned link. 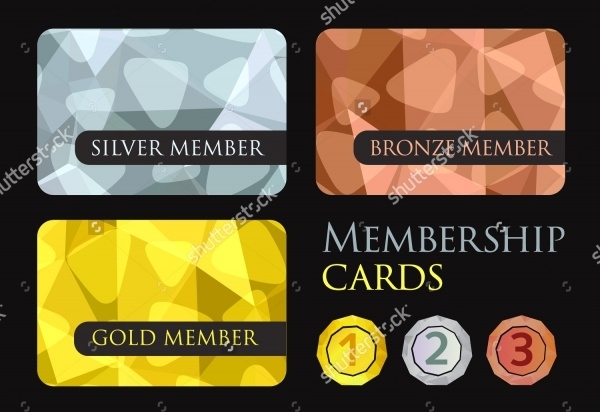 Here are all the three cards for the gold, silver, and bronze that uses the patterned background in these colors to distinguish the membership kind. 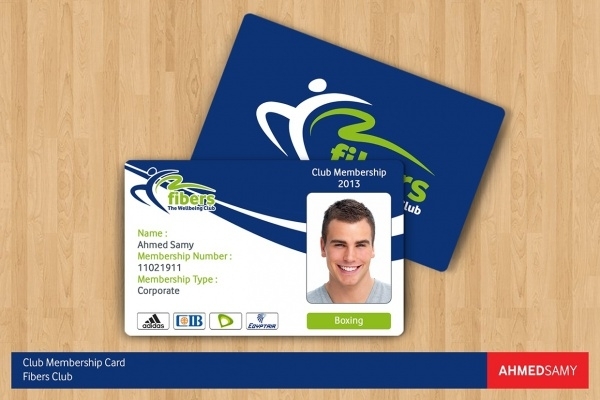 This is the mockup of the membership card issued by Fibers club. This too is a close up mockup of a printed card for Brooklyn Brewery. Use this vast collection of design ideas for the membership card and add some of your design skills to create amazing results. 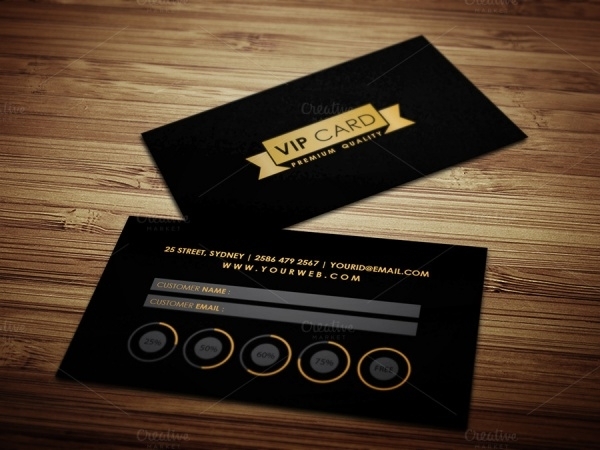 You can also look at corporate business cards and incorporate the two design ideas for your corporate client. 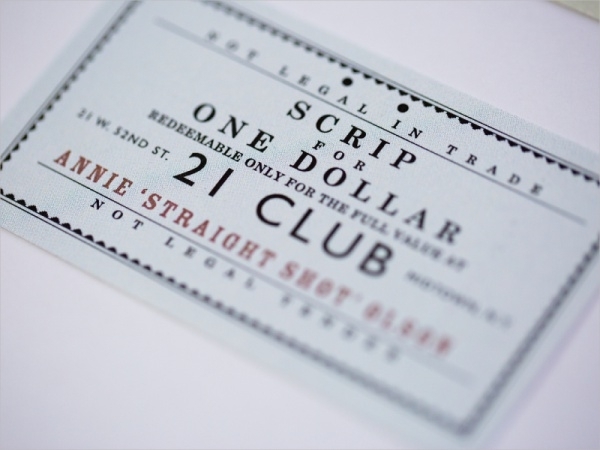 Or you can start a secret club with your friends and design the membership cards for that.